(Reuters) - U.S. President Donald Trump has directed Energy Secretary Rick Perry to take emergency steps to keep coal and nuclear power plants running, the White House said Friday, in what would amount to an unprecedented intervention in U.S. power markets. The White House billed the effort as a way to shore up national energy security, but the announcement triggered swift backlash from an unusual alliance of drillers, renewable energy producers and environmentalists who called it an unfair attempt to prop up non-competitive industries. "Unfortunately, impending retirements of fuel-secure power facilities are leading to a rapid depletion of a critical part of our nation's energy mix, and impacting the resilience of our power grid," White House spokeswoman Sarah Sanders said in a statement about the measure. Since campaigning for the White House, Trump has vowed to revive the ailing U.S. coal industry. Both the U.S. coal and nuclear power industries have been shrinking for years, under pressure from cheaper natural gas along with advances in solar and wind energy. Details of the memo, dated May 29 and circulated ahead of a National Security Council meeting on the subject on Friday, were first reported by Bloomberg News late on Thursday. Democratic Senator Joe Manchin of West Virginia, a major coal-mining state, on Friday praised Trump for carrying out what he said was his idea: "I am glad President Trump and his Administration are considering my idea to use the Defense Production Act to save coal-fired power plants with emissions controls and protect our national security," Manchin said. The Defense Production Act, adopted in 1950 at the start of the Korean War, allows the federal government to intervene in business to promote national security. A coalition of oil, gas, solar, wind and energy efficiency trade groups, however, on Friday released joint statements on the move, calling the proposed action "misguided." "We strongly urge the administration to reject this ill-conceived draft plan and adopt a policy approach that promotes market forces and competition in our nation's power system," Todd Snitchler, director of market development at the American Petroleum Institute, said. The administration has said it is concerned the retirement of old coal and nuclear plants could put U.S. power supplies at risk because - unlike solar, wind, and natural gas power facilities - coal and nuclear generators can store fuel on site. But federal energy regulators have rejected that argument and turned down a proposal late last year from Perry to subsidize nuclear and coal plants for providing "resilience" to the grid. That did not stop the coal industry from making new requests for help from the administration. 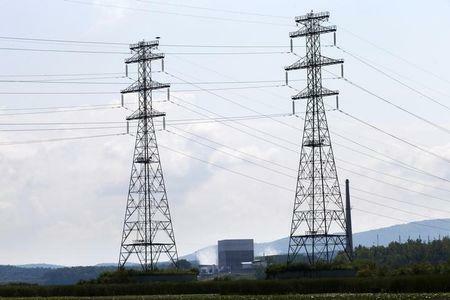 In late March, FirstEnergy's FirstEnergy Solutions [FE.UL] unit - which runs coal and nuclear power units - called on the U.S. energy secretary to use the emergency powers to lift the sectors. Coal company CEO Robert Murray of Murray Energy [MUYEY.UL], also called for Perry to use emergency powers to save at-risk coal plants. Analysts said the new plan would face numerous legal and political challenges before it could get implemented. "While we believe DOE has broad privileges to identify threats to national security, we are skeptical that (the order) entitles DOE to direct power market operators (...) to pay generators more based upon that threat," said Katie Bays, energy analyst at Height Capital Markets in Washington. "Litigation would begin almost immediately," she said. Earlier this year, east coast grid operator PJM, which serves 65 million customers, published an analysis of recently announced planned deactivations of certain nuclear plants and determined that there was no immediate threat to system reliability. "There is no need for any such drastic action," said a PJM spokesperson about the new idea.